David Selby & Fumiyo Kagawa. 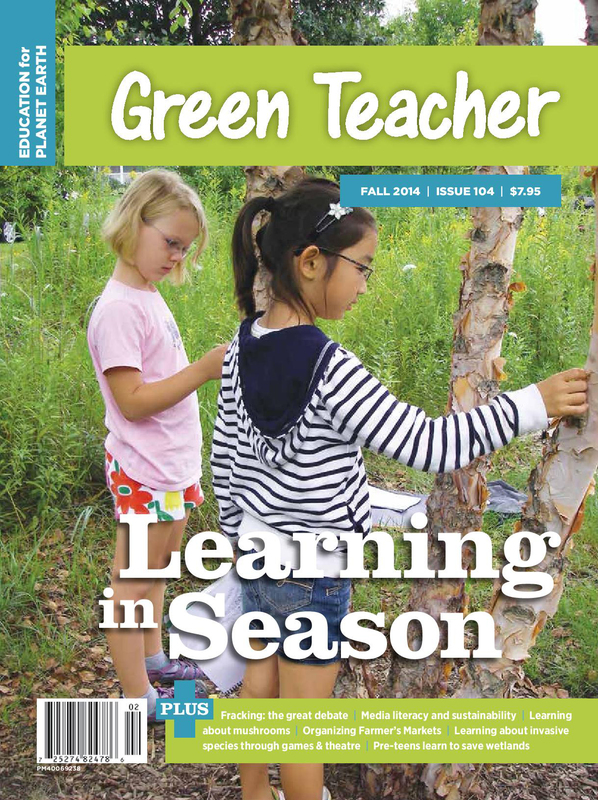 Teetering on the Brink: Subversive and Restorative Learning in Times of Climate Turmoil and Disaster, Journal of Transformative Education, 2018. Abstract: Unchecked climate change poses a self-inflicted existential risk to humanity as it exacerbates the multiple-crisis syndrome facing global society. In international policy, education for sustainable development is widely flagged as transformative. To realize that transformative potential, sustainability educators are exploring the nexus between their field and that of transformative learning. They particularly call for a stretching of epistemology so that unsustainable practices are challenged, taken-for-granted thinking and assumptions disrupted, root causes of global dysfunction interrogated, values subjected to critical scrutiny, change potential of socio-affective learning unleashed, and paradigm shift thus catalyzed. The problem is the overall lack of consensus about what needs sustaining and what needs transforming. Seeking to address that problem, we call for subversive learning interrogating four key climate change drivers: economic growth, consumerism, denial, and climate injustice. We also call for restorative learning in three important areas: restoring nature intimacy, confronting despair, and reclaiming the good life. To obtain access to the article, click here. David Selby & Fumiyo Kagawa. 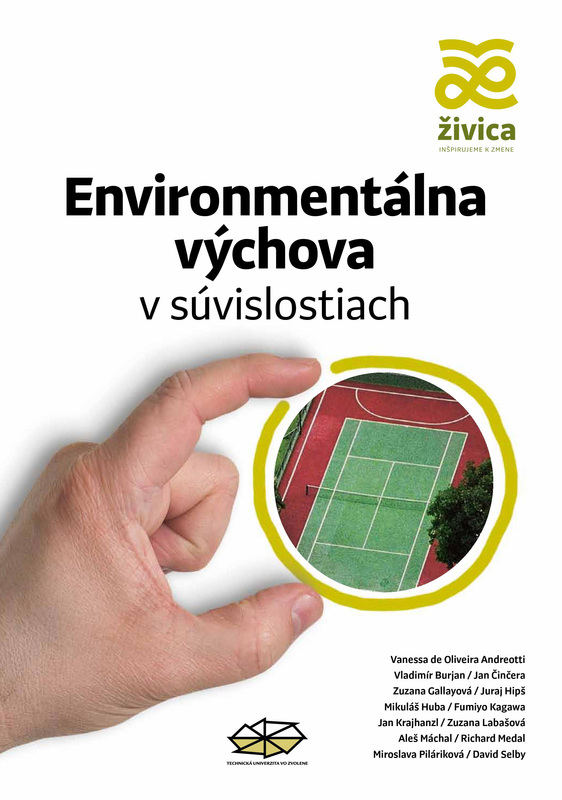 Archipelagos of Learning: environmental education on islands, Environmental Conservation, 45 (2), 2018, 137-146. 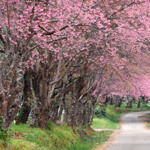 Abstract: This article appreciatively reviews environmental education practice on islands through the lens of four key strands of environmental education discourse: biodiversity, conservation and science-framed education; place-based, indigenized and bioregional education; climate change and disaster risk reduction education; and education for sustainable development. Arising from these strands and their interface, six questions are asked of the examples of island practice reviewed. A final section asks what is distinctive about environmental education on islands and comes up with five principal findings. First, it is observed that environmental education initiatives on islands are markedly eclectic in their rich blending of practice from within the different strands. Second, it is noted that environmental education practice on different islands, especially in the Pacific, is marked by a return to indigenous, community-based learning. Third, the emergence of a distinctive pedagogy is remarked upon, especially the greater weighting given to relational, socio-affective and action-orientated learning. Fourth, the paucity of inter-island cosmopolitan dialogue is noted and questions are asked about how to ensure island learners steeped in learning about place can be brought to connect with the global environmental problematic. Fifth, the frequency of cross-curricular, interdisciplinary, even trans-disciplinary framing of environmental education initiatives is identified as bringing distinctiveness to island practice. Fumiyo Kagawa. 'Regional Revitalization’ through Sustainability Education: Insights from the UK Experience. In Prospects and Ongoing Challenges of Regional Revitalization Based on ESD: Rikkyo University ESD Research Centre International Symposium Report, 70-81. Rikkyo University, Tokyo, 2018. This symposium contribution first explores the meaning of ‘regional revitalization’ in the UK through a historical review of key sustainable development and eduction for sustainable development (ESD) policy documentation. It goes on to analyze three noteworthy case studies: the grassroots movement Incredible Edible focusing on local food in Todmorden, West Yorkshire; ocean re-wilding by the NGO, Community of Arran Seabed Trust (COAST) in the Hebridean Isle of Arran; a notable re-localisation initiative, the Transition Town Movement, Totnes, Devon. It concludes by highlighting four key questions for ESD practitioners concerning the promotion of regional revitalisation through ESD: Does ESD help to create ‘open’ local communities? ; Does ESD critically reflect on the growth economy and consumerism and explore alternative economic models? 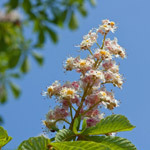 ; Does ESD sufficiently focus on the restoration of the natural environment? ; Are ESD learning and engagement opportunities truly inclusive of everyone? For the paper (in Japanese) click here. Abstract: The article begins by looking at key features of what has come to be called global environmental education before going on to explore two new and hugely important areas of development falling within the field: climate change education and disaster risk reduction education. The interface between the two areas and how they relate to the general fields of environmental and sustainability education is then examined. Examples of noteworthy practice are given throughout. For the English language version, click here. 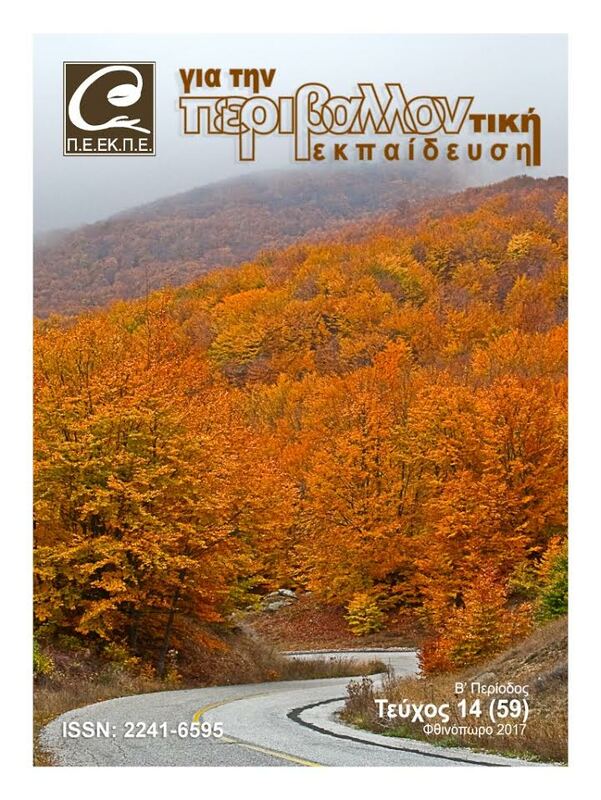 For the Greek language version, click here. David Selby. Creating Futures: 10 Lessons Inspiring Inquiry, Creativity & Cooperation in Response to Climate Change for Senior Primary Classrooms (review article), Policy & Practice: A Development Education Review, vol.25, Autumn 2017, 153-60. David Selby. Education for Sustainable Development, Nature and Vernacular Learning, Center for Educational Policy Studies Journal, vol. 7, no.1, 2017, 9-27. Abstract: Mainstream education for sustainable development conceives of nature as a resource or commodity. The natural world is, for the most part, accorded only instrumental or utilitarian value. As a field it thus aligns itself with a longstanding paradigm in western thinking that sees humans as separate from and dominant over nature. The de-natured nature of education for sustainable development makes it unlikely that the learner will become motivated to care and act for nature. As an alternative, vernacular learning is proposed, i.e. 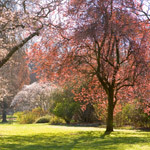 place-based learning rooted in close intimacy and connection with the natural world, with nature perceived as being intrinsically valuable. 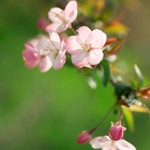 The importance of fostering emotional affinity with nature is underlined, as are forms of multi-sensory learning that help the learner engage with both spirit and soul of place. Practical examples of vernacular learning activities are enumerated. The importance of nurturing a sense of wonder and joy in the young learner is put forward as vital in fostering an ethic of concern for the planet. 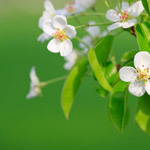 Essentially, the argument goes, we only stir ourselves to protect what we have come to love, and thus cultivating a sense of oneness with nature is vital if we are to have any chance of transforming the global environmental condition. Passion is the harbinger of activism. Fumiyo Kagawa & David Selby. The Bland Leading the Bland: Landscapes and Milestones on the Journey towards a Post-2015 Climate Change Agenda and How Development Education Can Reframe the Agenda, Policy & Practice, A Development Education Review, vol. 21, Autumn 2015, 31-62. Abstract: After overviewing the global climate change threat, Fumiyo Kagawa and David Selby identify elements that would comprise comprehensive climate change education of transformative intent. In the light of this, they go on to critically review the presently emerging post-2015 development and climate change agenda as encapsulated in the Sustainable Development Goals. They also scrutinize the outcomes of four gatherings feeding into that agenda – the World Conference on Education for Sustainable Development, the Lima Climate Change Conference, the World Conference on Disaster Risk Reduction and the World Education Forum. They discern a signal failure to engage with neoliberalism and its workings as a root driver of climate change and a correlative failure to mainstream the holistic and transformative educational response that the climate crisis warrants. They end by suggesting how development education might play a formative role in reframing the post-2015 agenda. David Selby. Roots of Climate Change Denial (review article)', Policy & Practice: A Development Education Review, Vol. 21, Autumn 2015, 154-161. Abstract: A review of Naomi Klein (2014), This Changes Everything: Capitalism vs. the climate, London: Allen Lane, and George Marshall (2014), Don’t Even Think About It: Why our brains are wired to ignore climate change, New York: Bloomsbury. David Selby & Fumiyo Kagawa. Emerging Dimensions of Global Environmental Education. In: Dovalova, Z, Gallayova, Z & Hips, J. (eds.). Environmental Education in Context. Zvolen, Zivica/Technical University of Zvolen, 2015, 212-227. Abstract: The chapter begins by looking at key features of what has come to be called global environmental education before going on to explore two new and hugely important areas of development falling within the field: climate change education and disaster risk reduction education. The interface between the two areas and with the general fields of environmental and sustainability education is then examined. Examples of noteworthy practice are given throughout the text. For the text in English, click here. David Selby. Climate Change: Reorienting the Development Agenda. In: Gerard McCann & Stephen McCloskey (eds. 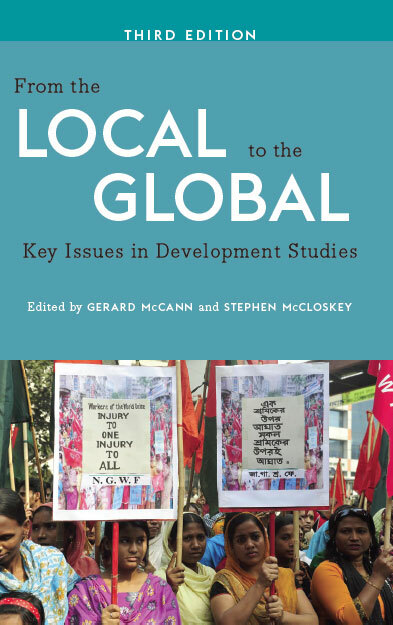 ), Local to the Global: Key Issues in Development Studies. Third Edition. London, Pluto Press, 2015, 113-31. Abstract: The chapter begins by looking at the ubiquitous threat that climate change presents, and particularly the profound threat that rising surface temperatures and increasingly volatile weather systems pose to development and security prospects. It goes on to focus more specifically on present and future impacts of climate change on the achievement and consolidation of the Millennium Development Goals. It then explores climate change adaptation and mitigation as distinct but complementary responses to climate change, before introducing the field of disaster risk reduction and its current process of convergence with climate change adaptation. Moves towards an integrated resilience-building approach to development, also embracing peace building and social protection, are touched upon. The chapter then turns to economic growth as the fundamental driver of both climate change and disaster risk. It closes by suggesting ways in which development proponents and organisations might begin to orient their agendas and action programs to counter the hegemonic growth model and thereby help diminish the climate change threat. David Selby & Fumiyo Kagawa. Development Education and Education for Sustainable Development. Are they Striking a Faustian Bargain? In: Stephen McCloskey (ed. ), Policy and Practice: A Development Education Review. Tenth Anniversary Edition. Centre for Global Education, Belfast, 2015, 110-24. Abstract: Faustus is writ large in European mythology. A sixteenth century German astronomer, he is reputed to have sold his soul to the devil for unlimited power. In modern English parlance, to 'strike a Faustian bargain' is to be willing to sacrifice anything for knowledge or power or influence, closing one's eyes to the consequences. This article enters the landscape of development education and education for sustainable development and finds either a falling in with the neoliberal marketplace agenda or a reluctance to directly, overtly and critically engage with that agenda. The authors wonder why. Are the two fields in danger of striking a Faustian bargain so as to achieve some purchase and influence over educational directions, a bargain that brings short-term gains at the expense of transformative goals? The authors offer suggestions for having influence while sidestepping such a bargain. Bert Tulk. 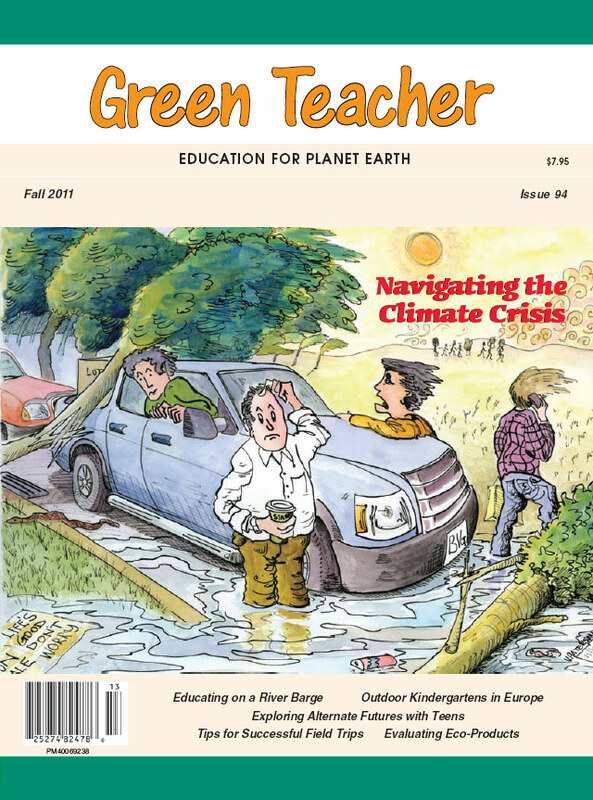 'Fracking: Unlocking the Great Debate', Green Teacher, Fall 2014, Issue 104, 12-15. Abstract: After noting the context for the current controversy surrounding hydraulic fracturing, the article outlines the basic elements of the process and highlights the core arguments of proponents and opponents of the practice. The ‘Fracking in the Classroom’ section provides information-gathering activities, a media analysis strategy and steps for a town hall style debate with potential for a range of further student engagement and action. Links to resources appropriate for the high school classroom are also listed. David Selby & Fumiyo Kagawa. Striking a Faustian Bargain? Development Education, Education for Sustainable Development and the Economic Growth Agenda. In: Stephen McCloskey (ed. 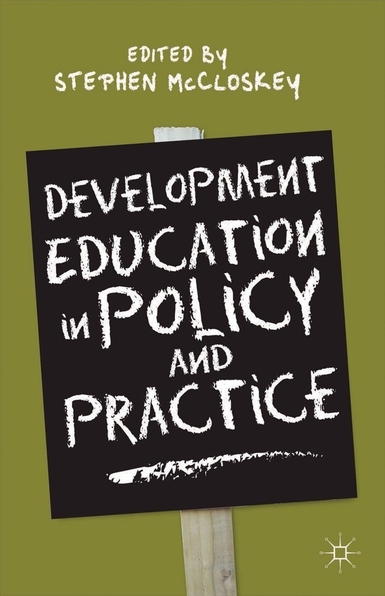 ), Development Education in Policy and Practice, Palgrave Macmillan, Gordonsville VA, 2014, 143-57. Abstract. Faustus is writ large in European mythology. A sixteenth century German astronomer, he is reputed to have sold his soul to the devil for unlimited power. In modern English parlance, to ‘strike a Faustian bargain’ is to be willing to make questionable sacrifices for knowledge or power or influence, closing one’s eyes to the consequences. This chapter asks whether the interrelated and overlapping fields of development education and education for sustainable development are in process of striking a Faustian bargain. 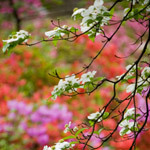 Each field draws significant inspiration from a radical, status quo critical, value system of transformative intent with respect to the human condition and the human/nature relationship. But, are there signs within each field of a compromising of values and trimming of original vision in the light of the economic growth agenda and global marketplace? And, if so, is that happening by commission, by oversight borne of sleeping immersion in current orthodoxies, or by studied omission? The chapter ends by proposing ways of sidestepping the Faustian bargain. David Selby & Fumiyo Kagawa, ‘World as “Lasting Storm”: Educating for Disaster Risk Reduction,’ Green Teacher, Summer 2013, Issue 100, 21-32 . Abstract: Following a brief overview of the global emergence of disaster risk reduction education, its scope and curricular reach, the article lays out five essential dimensions which, taken together, offer potential for positive and proactive learner engagement with a topic easily conducive to despair. The five dimensions are: understanding the science and mechanisms of natural disasters; learning and practicing safety measures and procedures; understanding risk drivers and how hazards can become disasters; building community risk reduction capacity; building an institutional and community-wide culture of safety and resilience. The article concludes by briefly exploring the interface and synergies between disaster risk reduction education and environmental education. Fumiyo Kagawa & David Selby, 'Ready for the Storm: Education for Disaster Risk Reduction and Climate Change Adaptation and Mitigation,' Journal of Education for Sustainable Development, vol.6, no. 2, September 2012. 207-17. Abstract: Incidences of disaster and climate change impacts are rising globally. Disaster risk reduction and climate change education are two educational responses to present and anticipated increases in the severity and frequency of hazard. They share significant complementarities and potential synergies, the latter as yet largely unexploited. Three dimensions of climate change education – understanding and attentiveness, mitigation and adaptation – are identified and explored as corresponding to key elements in disaster risk reduction education. While international bodies advocate the alignment of the two focuses, we are still only on the threshold of their alignment in practice within curriculum. Both focuses also align in their embrace of an interactive, experiential and participatory pedagogy. An educational contribution to a sustainable future must necessarily address disaster risk reduction and climate change. 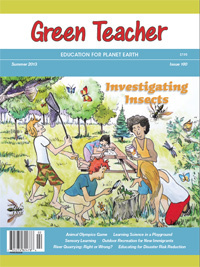 David Selby, ‘Thoughts from a Darkened Corner: Sustainability Education in Times of Crisis’, For Environmental Education, issue 47 (issue 2 online), no pagination. Abstract: To those concerned for the wellbeing of people and planet, education for sustainable development seems a positive way forward. But the warm, fuzzy feeling it engenders masks a shying away from a range of issues that have to be addressed if the intention is to realize a sustainable future. Education for sustainable development fails to confront the dire threat posed to environments and societies by unrestrained economic growth just as it sidesteps a fundamental critique of the neoliberal project of turning the planet into a global marketplace. The common assumption that the environmental, economic and social dimensions of sustainability are complementary, achievable states needs unpacking. They are only so if we move away from a growth mindset. Schools should become seedbeds for learning about and living alternative no growth forms of economy. Education for sustainable development enshrines a prevailing human-centeredness that sees nature as something to be used and exploited. 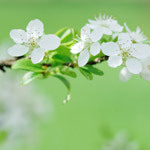 An ethic of oneness and intimacy with nature is needed so nature is intrinsically valued and so that people fight to hold onto something they love. The prevailing rationalism of education for sustainable development needs to be tempered with, even replaced by, the cultivation of the ability to relate to life through nature intimacy. Education for sustainable development takes a ‘business as usual’ approach to climate change, failing to address the profound challenge to the world as we know it, the denial and loss that is increasingly involved, the threat posed by rampant consumerism, and climate injustice. Education for sustainable contraction and education for sustainable moderation might be more appropriate aspirations given the profound crisis of unsustainability we face. David Selby & Fumiyo Kagawa, ‘Climate Change Learning: Unleashing Blessed Unrest as the Heating Happens’, Green Teacher, Fall 2011, Issue 94, 3-15. Abstract: In this article, David Selby and Fumiyo Kagawa consider how formal, non-formal and informal learning spaces can help unleash the ‘blessed unrest’ they hold to be vital if human society is to have any chance of escaping the worst scenarios now before us for the heating of the planet. Arguing that educational responses to climate change are largely confined within a comfortable ‘business as usual’ agenda, they call for an exploration of the ‘dark corners’, those dimensions of the climate change problematic that we prefer to avoid because they are so unsettling in their challenge to how we see ourselves and how we see the world. 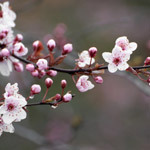 An agenda for unleashing ‘blessed unrest’ is offered as are four learning activities that capture and concretize the idea. David Selby, ‘Education for Sustainable Contraction as Appropriate Response to Global Heating’, Journal for Activist Science and Technology Education, vol.3, no.1, 2011, 1-14. Abstract: David Selby explores how the framework of our contemporary epistemology, together with its content, assumptions, methodologies and methods and their associated value systems, have combined to lead us into an ever-deepening climate change and global heating crisis. The problem is so deep that, in responding to the crisis, even those situated on a reform to transformation continuum, including mainstream proponents of education for sustainable development, continue to befriend our cultural pathology. The article then reviews denial and cognitive dissonance in the approach to climate change within the field of education for sustainable development while offering ten propositions for education for sustainable contraction that, taken as a whole, constitute an appropriate agenda for addressing global heating as a profound crisis in the human condition, our ethics and values. David Selby & Fumiyo Kagawa, ‘Development Education and Education for Sustainable Development: Are They Striking a Faustian Bargain?’, Policy & Practice. A Development Education Review, 12, Spring 2011, 15-31. Abstract: Faustus is writ large in European mythology. A sixteenth century German astronomer, he is reputed to have sold his soul to the devil for unlimited power. In modern English parlance, to ‘strike a Faustian bargain’ is to be willing to sacrifice anything for knowledge or power or influence, closing one’s eyes to the consequences. In this article, David Selby andFumiyo Kagawaenter the landscape ofdevelopment education and education for sustainable development and find either a falling in with the neo-liberal marketplace agenda or a reluctance to directly, overtly and critically engage with that agenda. They wonder why. Are the fields in danger of striking a Faustian bargain so as to achieve some purchase and influence over educational directions, a bargain that brings short-term gains at the expense of transformative goals? They offer some suggestions for having influence but sidestepping such a bargain. Abstract: Education for sustainable development is the latest and thickest manifestation of the ‘closing circle’ of policy-driven environmental education. Characterized by definitional haziness, a tendency to blur rather than lay bare inconsistencies and incompatibilities, and a cozy but ill-considered association with the globalization agenda, the field has allowed the neo-liberal marketplace worldview into the circle so that mainstream education for sustainable development tacitly embraces economic growth and an instrumentalist and managerial view of nature that goes hand in glove with an emphasis on the technical and the tangible rather than the axiological and intangible. Runaway climate change is imminent but there is widespread climate change denial including within mainstream education for sustainable development. A transformative educational agenda in response to climate change is offered. Recent calls for the integration of climate change education within mainstream education for sustainable development should be resisted unless the field breaks free of the ‘closing circle’. David Selby, ‘Go, Go, Go, Said the Bird’: Sustainability-related Education in Interesting Times’. In: Fumiyo Kagawa & David Selby, Education and Climate Change: Living and Learning in Interesting Times, Routledge, New York, 2010, pp.35-54. Abstract: In critiquing the response of the field of education for sustainable development to actual and looming climate change, the author identifies a prevailing ‘business as usual’ disposition that shirks away from critical exploration of the current economic growth model, marketplace globalization, and rampant consumerism. There is denial and cognitive dissonance evident among the field’s proposals, and not least in the characterization of climate change as requiring an essentially scientific, technological, and management, rather than ethical and eco-spiritual, response. 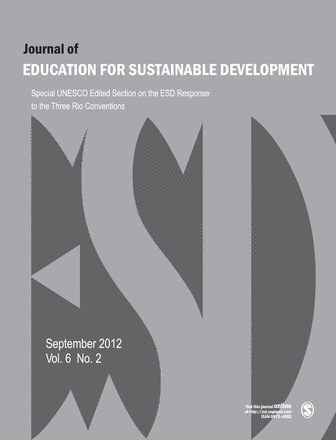 Proposing ‘education for sustainable contraction’ and ‘education for sustainable moderation’ as alternatives to the growth and market-tainted concept of ‘education for sustainable development’, the author reviews key dimension of the two conceptions. Fumiyo Kagawa (2010). ‘Learning in Emergencies: Defense of Humanity for a Livable World’. In: Fumiyo Kagawa & David Selby. (eds). Education and Climate Change: Living and Learning in Interesting Times. New York: Routledge. 106-124. Abstract: This chapter points out the limitations of current narrow and linear conceptualization of emergencies and the danger of educational responses merely perpetuating neoliberal notions of development. Considering the prospects of ever-more-severe climate change, the chapter emphasizes the importance of education directly responding to trauma, learning to help both expand and deepen the justice concern, and educational efforts directed towards sustaining a sense of hope among learners. It also argues for the critical importance of changing the direction of the flow of emergency associated knowledge so that the flow is primarily from community rather than imposed on community. Wendy Agnew. ‘Weaving Change: Improvising Global Wisdom in Interesting and Dangerous Times’. In: Fumiyo Kagawa & David Selby, Education and Climate Change: Living and Learning in Interesting Times, Routledge, New York, 2010, pp.215-39. Abstract: Contesting academic prose as a vehicle for transformative thought, this chapter nudges the fabric of a myth into a volatile present, proceeds with a playful induction into a classroom discussion on the synthesis of human and global systems, then diverges to outline a set of educational guidelines promoting crucial principles endemic to the health of complex adaptive systems. The remainder of the chapter unfolds as an inter-textual collage to harmonize political, personal, planetary, and potential benefits of “ecommunion” through a practical and theoretical journey. The conclusion of the chapter focuses on two scenarios … the sun and the moon of the future and the dangerous and necessary details of “weaving change” in times that can bend us into flexible new paradigms or break us into pieces of a rampant tomorrow. David Selby, ‘Global Education as Sustainable Community Education: Stories from Brazil, the Middle East and Albania’. In: John Blewitt, Community, Empowerment and Sustainable Development, Green Books, Totnes, Devon, 2008, 59-79. Abstract: This chapter overviews global competitiveness, liberal technocratic and transformative strands within the field of global education before elaborating a holistic four-dimensional model. There follow narratives of formal and non-formal community transformation initiatives in Brazil, the Middle East (Jordan and Lebanon) and Albania informed by the model elaborated. Each initiative is also marked by a cross-cultural partnership and convergence between a university center in Canada, on the one hand, and a varied mix of government and municipal organizations, business and (national and International) not-for-profit organizations based in developing nations, on the other. David Selby. ‘The Need for Climate Change in Education - In the Doldrums: Becalmed Schools in a Sea of Complexity’, In: James Gray-Donald & David Selby, Green Frontiers: Environmental Educators Dancing Away from Mechanism. Transgressions: Cultural Studies and Education Series, Sense Publishers, Rotterdam, 2008, pp. 252-62. 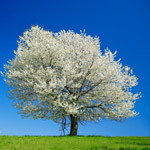 Abstract: The chapter walks the dividing line between climate change education and the need to change the climate of schools if environmental issues are to be thoroughly addressed. Climate change confronts the teacher and student with interconnectedness, chaos, complexity, uncertainty and the controversial and is not well served by learning contexts informed by mechanism and, thus, marked by a rigid disciplinary ethos, the culture of the right answer, the failure to integrate learning in the community, a reduced epistemology, and an emphasis on linear and contiguous causality rather than systemic understanding. To escape the doldrums of mechanism, the author calls for en-chanted and engaged learning involving a synergistic interplay between the personal and the planetary. Wendy Agnew. ‘Autopoietic Education – Contours of the Future or The Poetics of Science in Constructing Eco-identity’. In: James Gray-Donald & David Selby, Green Frontiers: Environmental Educators Dancing Away from Mechanism. Transgressions: Cultural Studies and Education Series, Sense Publishers, Rotterdam, 2008, pp. 263-85. David Selby, ‘As the heating happens: Education for Sustainable Development or Education for Sustainable Contraction?’, International Journal of Innovation and Sustainable Development, 2(3/4), 2007, 249-67. Abstract: There is a wide consensus within the international scientific community that global warming is happening and that its causes are primarily anthropogenic. Future histories anticipate massive environmental and social upheaval unless carbon emissions are dramatically cut in the near future. Responses to the prospect of a hotter planet include welcome, refutation, avoidance and denial, and concerned activism. Denial is evident even among those seeking to effect social change, including advocates of education for sustainable development. A fundamental issue for those advocates is the relevance of continuing to talk about development as the heating happens. An alternative, education for social contraction, is put forward. David Selby, ‘Reaching into the Holomovement: A Bohmian Perspective on Social Learning for Sustainability’. In: Arjen E.J. Wals, Social Learning Towards a Sustainable World: Principles, Perspectives, and Praxis, Wageningen Academic Publishers, Wageningen, The Netherlands, 2007, pp. 165-80. Abstract: There is broad agreement amongst sustainability proponents that the world, as we know it, and our place in that world, is at risk. There is also considerable agreement amongst those proponents that transformation, and hence transformative learning, are vital for achieving sustainability. The problem is that, while we have the goal of transformation through learning, the processes and modalities of learning we employ continue to be informed by mechanism, arguably the root cause of unsustainability. Social learning for sustainability, therefore, calls for learning processes divested of mechanistic influences and residues, but we are straitjacketed in this regard by our failure to see, let alone address, mechanism within our thought processes. To escape the trap of mechanism, dialogical social learning based upon David Bohm’s conception of dialog is called for as a means of taking a quantum leap to quantum learning for sustainability. Fumiyo Kagawa. (2007). ‘Whose emergencies and who decides? Insights from emergency education for a more anticipatory Education for Sustainable Development.’ International Journal of Innovation and Sustainable Development, 2 (3/4): 395-413. Abstract: Education in humanitarian crises plays an increasingly important role not only given ongoing crises, but also potential future crises which could be triggered by climate change-induced instability and insecurity. While proponents of Education for Sustainable Development (ESD) suggest ESD should address interconnected socio-economic and environmental challenges, ongoing humanitarian crises are underrepresented in ESD discourse. Key questions guiding this paper are: Who identifies ‘emergencies’ or ‘crises’ and what power issues can be identified in defining them? How might insights from emergency education inform current ESD discussions enabling them to be more anticipatory regarding future crises? David Selby, ‘The Firm and Shaky Ground of Education for Sustainable Development’, Journal of Geography in Higher Education, 30(2), July 2006, 351-65. Abstract: This paper employs academic and parable forms to evaluate critically the strengths and weaknesses, potentials and lacunae, of education for sustainable development [ESD] and other sustainability-related educations. The meteoric rise to prominence of ESD is first briefly reviewed, as is the firm ground it now stands upon as an international and national educational priority. The remainder of the paper explores the shaky ground of ESD: the field’s reliance on a goal, sustainable development, which, in its by and large continued embrace of the growth principle, is a myopic response to the Earth condition; the field’s embrace of an instrumentalist conception of nature when such a conception itself feeds unsustainability; the overly skills/training orientation of ESD and its stunted engagement with a range of key aspects of the human-nature relationship; the failure of ESD to realize its original breadth and promise in its marginalization of the voice of peace, social justice, anti-discriminatory, indigenous and futures educators as well as that of sustainability educators in the South; its adoption of an anachronistic ‘steady state’ conception of nature. Finally, it is suggested that sustainability-related education would be enriched and enlivened by fomenting a dynamical complementarity between notions of transience and sustainability.